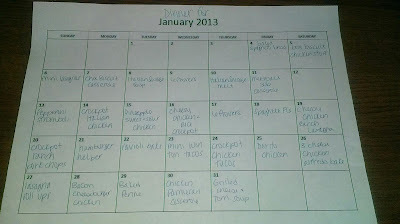 In order to not go over my $1,000 grocery budget I set for myself for this year, I needed to get majorly organized. Here's how I organize my dinners and shopping trips. I get 5 of each coupon insert each week. I then only clip the coupons for items that I know we will eat/need/use. I will not buy something if we won't use it, however, if it is free, then I will get it and either give it away or at least try it to see if we like it. Nobody can pass up something that's free! After clipping my coupons I put them in my binder which is divided by category just like the grocery store is. 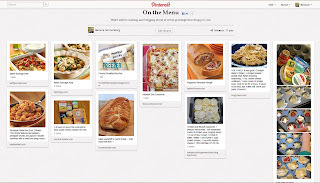 I have several websites that I check to look for sales and coupon match ups (which tell you what coupons to use and what paper they came in) I don't dedicate a lot of time to this, maybe a few hours a week, if that. 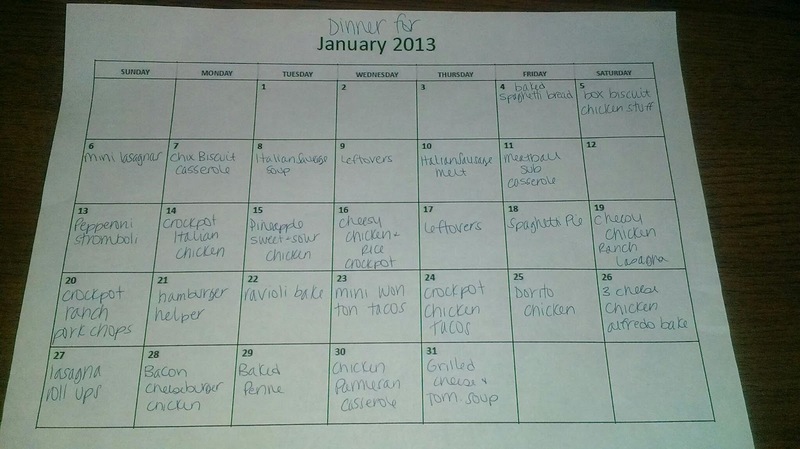 Next, I made up a monthly calendar with all the dinners on it. There are a few leftover nights, or nights where I'm taking the easy route and making hamburger helper or something frozen, but for the most part everything is "homemade" Notice I didn't put down any nights of eating out? We probably will do that even though it's not marked down, and in that case the meal we were supposed to have will just get bumped to another night. 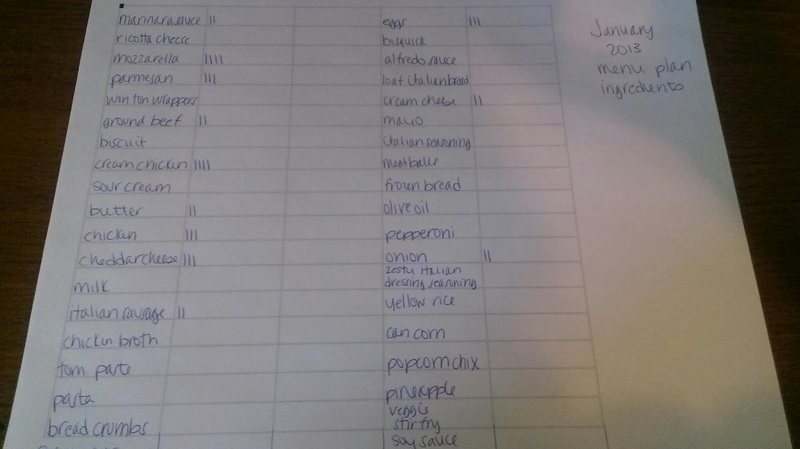 Finally, I went through each of the recipes on the calendar and wrote down every ingredient I need to make them. Even if I knew I already have it, I still wrote it down (you'll see why in my final prep step) I have a column for each item and another column to mark how many of them I need. This may not work for you so just try something else to see what works best for your family. Okay so now that everything is planned, I needed to go to the kitchen and see what I have on hand. This step will help me because I'll figure out what I have vs. what I need for dinner. This goes back to the coupons. If something is on sale for a good price and I know I'll need it later for a recipe or two, I can buy it when it's on sale instead of buying it when it's not. I again made a chart like the same one I used to write down what I need. Then I compared the two charts and marked off what I have on the ingredients list. Again, this will help me to make sure I have what I need when I need it. I also won't buy stuff that's not on the list so in turn I'm saving more money. So there ya have it. That's how I prepare. Next up is shopping!